HVAC systems have made great strides in improving indoor air quality (IAQ) in institutional and commercial facilities. 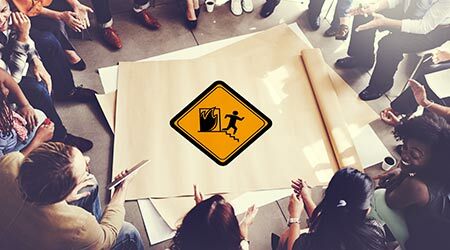 Nonetheless, challenges remain for maintenance and engineering managers and technicians responsible for ensuring a healthy indoor environment for building occupants and visitors, especially in facilities where activities and operations change regularly. 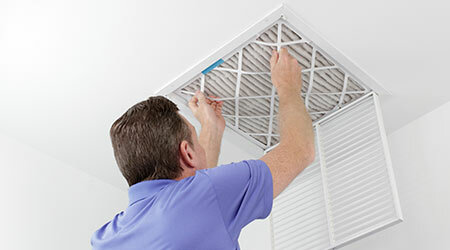 By understanding the role of air filters in achieving these goals, key applications for various air filters, and the essential tools and technology technicians need to monitor indoor air for mold, moisture, temperature, air flow, carbon monoxide, and airborne particles, managers can make great strides in improving the health of indoor environments. Before specifying air filters, managers need to know the air quality inside and outside the facility and, specifically, the types of pollutants and their amounts in the air. Sources can include outdoor air entering through air intakes and indoor air pollutants from occupants and processes. Outdoor air contains ozone, smog, vehicle exhaust, industrial pollution, and seasonal pollutants, such as plant pollen, which can be stressful for occupants with respiratory conditions, from the common cold and asthma to chronic obstructive pulmonary disease (COPD). Many of these conditions can weaken immune systems and cause bacterial pneumonia, which is a life-threatening disease. Fiberglass. These filters are the most common type in commercial and institutional facilities today. Disposable fiberglass filters are made of media that overlay a supportive metal frame. The fiberglass traps toxins and particulates as they pass through the membrane with the air. MERV 8 filters are used to remove dust mites, mold spores, smoke, and some allergens, such as pet dander. Disposable pleated polyester. These filters are slightly more robust and can provide an effective alternative for environments with high levels of dust. These filters are more expensive but have more filter area for a given frame size. When life cycle is factored in, they are cost-competitive. Large commercial air filters gain filter area by arranging the filters in an accordion-like pattern across the mouth of the intake duct. High-efficiency particulate air (HEPA). HEPA filters are divided into five types — A, B, C, D, and E. HEPA A filters are industrial grade and trap very fine particulates, allergens and toxins. They are recommended in commercial facilities where smoke and other small particulates are present. HEPA filters that meet U.S. Department of Energy standard STD-3020-97 are guaranteed to filter out 99.7 percent of all particulates that are at least 0.3 microns in size. Human red blood cells are 5 microns, and bacteria are from 0.2 to 3 microns in diameter. So, HEPA filters remove all blood cells and most bacteria from the air. HEPA D, or ultra-low penetration air (ULPA) filters are MERV 20 and are used in clean rooms. They remove 99.999 percent of particles down to 0.12 microns, including particle and electromagnetic radiation that is carried by dust from nuclear power plants. Washable. These filters are made of stacked layers of various media on a plastic or metal frame and are used in industrial facilities where the dust and particulates tend to be larger and coarser. Dust buildup along the outer edges improves the filtering ability. Permanent, washable electrostatic precipitators use charged plates to remove ionized particles from the air with minimal disruption of air flow. A prefilter is recommended for best efficiency. These filters are rate to 97 percent efficiency down to 0.01 micron particle diameter. • List all airborne pollutants by source — outside gases, such as ozone, and industrial products, such as ash, carbon monoxide, carbon dioxide, sulfates and other particulates, as well as inside pollutants, such as mold, dust, and process-generated pollutants such as volatile organic compounds (VOC). • Identify health risks from these sources. • Measure the area size to be covered. • Make a floor plan indicating:ceiling height; length, width, number and location of entry doors; roof hatches; and elevator shafts. • Identify existing air handling equipment and filter efficiency used. • Contact air handling vendors to obtain detailed proposals, including standards met by the equipment and filters. This approach is needed whether the proposal is for a new system or an upgrade. Managers should include the air handling equipment in the proposal to address the possibility that current air handling equipment is not replacing the air volume at the proper cubic feet per minute for the type of facility and number of occupants. If that is the case, new or improved filters will not help provide a healthy environment, leaving occupants at risk, especially those with respiratory illnesses.